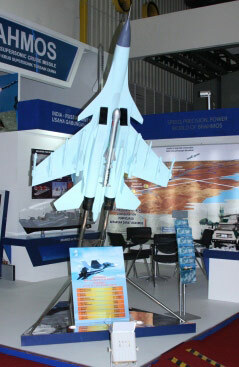 A model of Sukhoi aircraft carrying the supersonic cruise missile BRAHMOS at LIMA 2009. 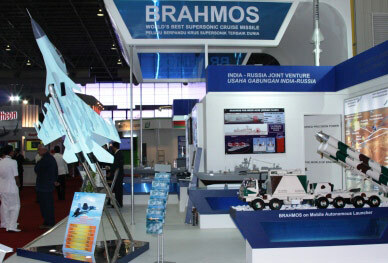 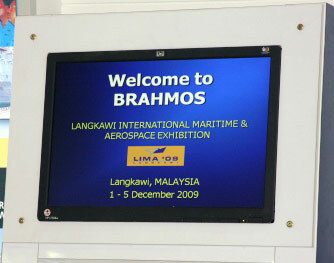 BrahMos Aerospace participation at LIMA 2009. 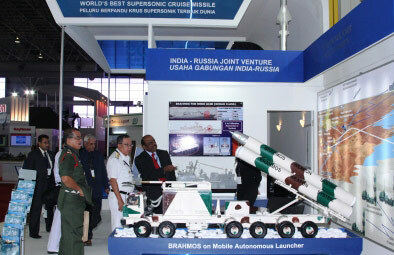 Dr. AS Sivathanu Pillai, CEO & MD, BrahMos Aerospace, showing the model of the BRAHMOS supersonic cruise missile atop Mobile Autonomous Launcher, at LIMA 2009. 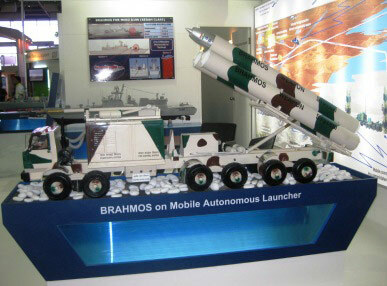 A model showing BRAHMOS on an Mobile Autonomous Launcher. 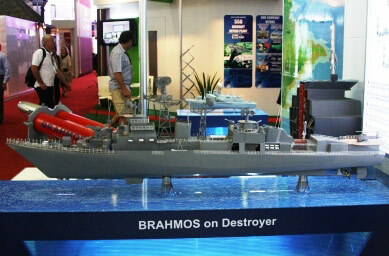 A model showing BRAHMOS missile installed on a naval vessel. 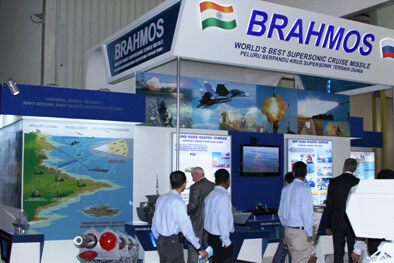 Visitors gathering near the BRAHMOS exhibits at LIMA 2009.